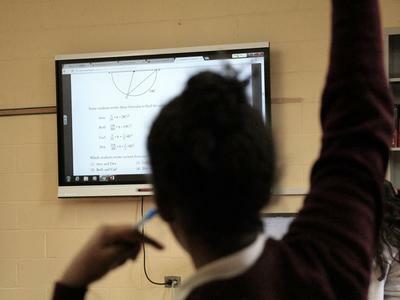 Preston High School is committed to the liberal education of young women. Its program of studies is provided within a nurturing environment where every student is respected for her individual dignity and encouraged to pursue her growth as woman and scholar. 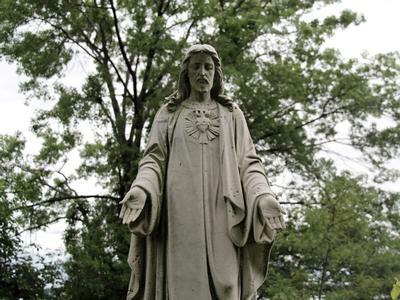 At the core of our mission is the practice of compassion, the charism of the Religious of the Divine Compassion, founders and sponsors of the school. “To see the needs and wants of others and to fill those needs” is the definition of compassion that the school inherits from its patron, Monsignor Preston. As applied to our program of study and personal development, this charism enlivens the educational philosophy of individualization for personal success, happiness, moral behavior (PHS’s motto is “Virtue is a Thousand Shields”) and social responsibility. The spiritual and academic goals of our department are complementary and mutually enriching. The underlying principle of all our courses is to give reasons for our faith and to give faith to our reason. Click here for the department page. The department operates under the philosophy that every Preston student should be made aware of the human condition and should develop the ability to make positive moral choices through exposure to great literature. 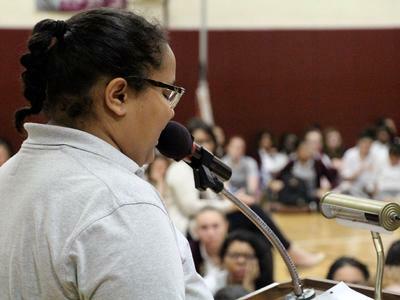 In that discovery process, our students are encouraged to listen, think, speak, and write critically about important issues raised by literature. Welcome to the Preston High School English Department! The department operates under the philosophy that every PHS student should know the human condition and should develop the ability to make positive, moral choices through exposure to great literature and non-fiction. In that discovery process, we encourage our students to listen, think, speak, and write critically about important issues they read through novels, memoir, poetry, short stories, current events, and other important readings. Preston women will read, write and communicate effectively; think critically; appreciate the aesthetic in literature and non-fiction; and grow as lifelong learners. To achieve those goals, they will participate in small and large group discussions of literature and non-fiction that foster recognition of cultural and ethnic diversity and activate thoughtful empathy. Our students will develop a positive self-concept and manifest personal responsibility through critical reading and writing skills. We enable our students to make connections between literary experiences and issues that touch their personal lives. We seek to motivate our students to read not just for information, but also for enjoyment now and in the future. We are devoted to creating and maintaining an atmosphere of learning that fosters in our students a sense of confidence based on competence. We challenge our students with a program designed to foster problem solving, mathematical reasoning, and self-esteem through directed practice, cooperative learning and student-teacher dialogue. We wish to guide students toward academic success and personal awareness of their abilities. 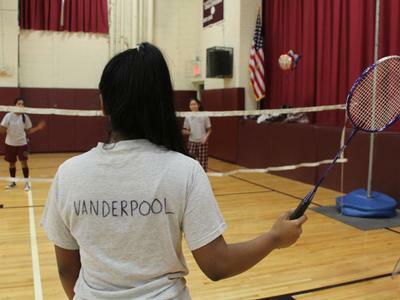 Physical Education is designed to expose the student to various sports and physical activities. These activities will aid in the physical, social, intellectual, and emotional development of each student. Teamwork, sportsmanship, and cooperation are stressed. The Health Education program is consistent with the philosophy and goals of Preston High School. Attention is given to the development of the whole person in relation to self, others, and the environment. Preston High School’s Physical Education program is designed to provide each student with the opportunity to find success at her own level. It is our goal to teach the benefits of living a healthy, active life during her years at PHS and beyond. Our comprehensive curriculum provides our students the opportunity to develop body awareness, explore movement, discover cooperative games, improve sport-specific skills, and experience team sports. We value the team experience and the life skills one develops while being a team member. Through these activities, the girls learn how to have fun, to react appropriately to winning and losing, to show good sportsmanship, and to develop discipline and responsibility. Our physical education program supports the development of a well-balanced individual by providing the opportunity to develop not only physically, but also socially, emotionally, and mentally. Preston High School’s Fine and Technical Arts Department comprises a unique combination of classes that cross the creative and technical spectrum. 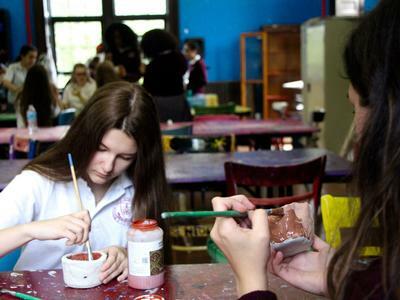 The Visual Arts curriculum aims to bring out the artist within each student. The expression of individuality and creativity is encouraged in each class. Connections to Art History are fostered. Students gain competency in drawing from observation, in rendering form and texture through line, through modeling and the use of color in a variety of media. Junior and senior artists are expected to be self-motivated to create their best art within a structured environment. Senior artists are offered the opportunity for Advanced Placement in Studio Art with the goal of obtaining college credit and creating a college level portfolio to be used for college admissions. Digital Art is a term used to describe a range of artistic works and practices that utilize digital technology. The impact of digital technology has transformed traditional activities such as painting, drawing and sculpture, while such new forms as digital installations and virtual reality have become recognized artistic practices. Our Digital Arts curriculum is designed to acquaint students with the many ways art and technology intersect in this 21st century art form. The Performing Arts curriculum encompasses both music and drama and is differentiated from the other arts because the artist uses her own body, face, and presence as a medium of artistic expression. These arts are generally performed by the artists before an audience. PHS’s Music curriculum focuses on developing the ability to perform, create, and understand music. All students, through study and mastery of musical compositions throughout history, learn to be active musicians and critical listeners. The musical and creative potential that exists in every student is unearthed and explored in each course offered. PHS’s commitment to offering a broad-based liberal education has led us to add Theater Arts to our curriculum, beginning with an elective introductory course. The ability to perform before an audience and the willingness to accept and apply constructive criticism are life skills that enhance one’s self-confidence and are useful in a wide variety of careers. Additional opportunities to become involved in theatrical productions are offered in our Co-Curricular program. The Computer Technology curriculum provides students with not only a thorough knowledge of basic computer applications, but also advanced skills which they will utilize in college and beyond. Computers have become a major part of American society today. In the 21st century, computers are prominent tools in a wide variety of areas such as research, education, banking, government, and news. It is our goal to acquaint students with the history of technology, basic and advanced computer applications, and the importance of computers in today’s society. 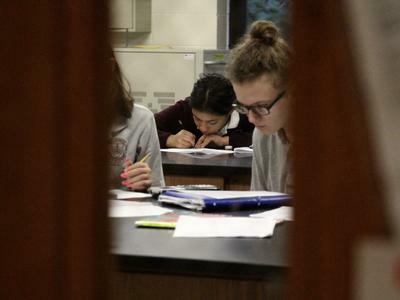 The ultimate goal of Preston’s Science Department is forming the scientifically literate person, and science teachers are responsible for starting ALL students along that path. 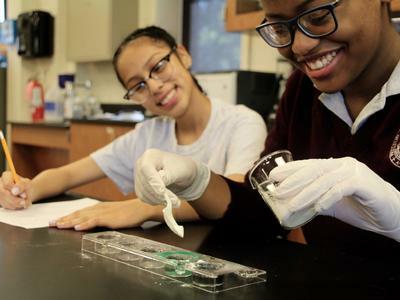 Scientific literacy should continue to develop and grow throughout the life of every PHS student. The scientifically literate person is defined in Science for All Americans as someone who has integrated knowledge of science, mathematics and technology; has a deep understanding of scientific concepts and processes; and appreciates that both the learning and the practice of science are dynamic and constructed. ¡Bienvenidos! Benvenuti! We in the LOTE Department believe that language is the basis of human relationship and communication. Multi-lingualism is essential in an ever-changing, global society, and it opens the door to opportunities that otherwise would be nonexistent. We also believe that proficiency in a foreign language demands the ability to communicate purposefully, while appreciating contemporary and classical cultures in an intercultural population. Thus, it is the purpose of our Department to enable students to communicate with native speakers of that language and to understand other cultures better. A communicative approach is emphasized, rather than a linguistic one. Students are encouraged to use language as a tool that will enable them to accomplish specific communicative goals. Knowledge of a foreign language not only enables communication with others but also builds confidence in the self. “The focus is always on what the students can do with the language and how well they can do it” (New York State Syllabus).